HCV infection, even without the complication of cirrhosis, is associated with an increased risk of cataracts. Patients with hepatitis C virus (HCV) infection, especially patients treated with interferon/ribavirin, are at increased risk for developing cataracts, according to a study published in PLoS One. Some extra-hepatic manifestations of HCV infection, such as renal dysfunction and cardiovascular events, are thought to result from HCV-induced oxidative stress. Oxidative stress also plays a central role in the pathogenesis of cataract formation. Limited data suggest that the risk for cataracts, one of the leading causes of vision impairment worldwide, may be increased in HCV-positive patients. However, whether cataracts represent an extra-hepatic manifestation of HCV infection remains unclear. Researchers, led by Shih-Yi Lin, MD, PhD, from China Medical University Hospital in Tiachung, Taiwan, investigated whether HCV infection is associated with a higher risk for cataract formation in a large population-based study. A total of 11,652 patients with HCV infection and 46,608 patients without HCV infection from the National Health Insurance database of Taiwan were included for analysis. Individuals with HCV were more likely to develop cataracts than individuals without HCV (density rate, 1.86 vs 1.37 per 100 person-years). After adjusting for potential confounding factors — including age and diabetes — the risk for cataracts remained higher in HCV-positive individuals than in HCV-negative individuals (adjusted hazard ratio [HR], 1.23). 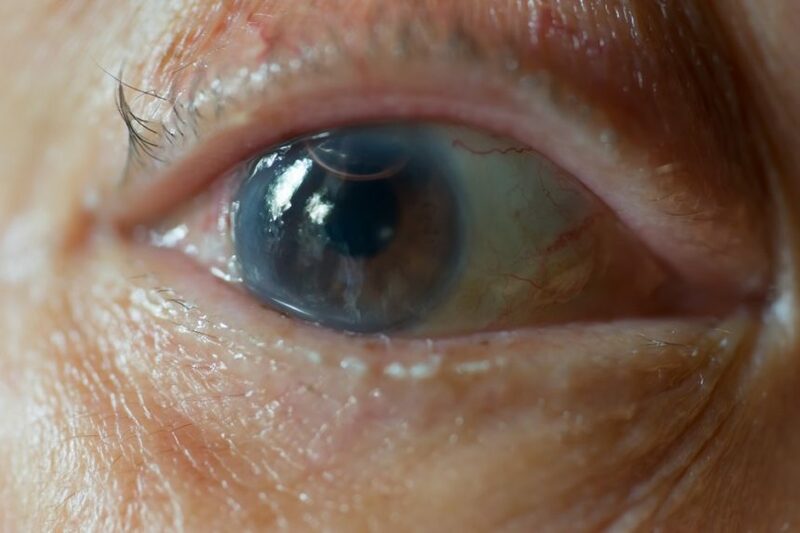 Cataract risk was increased both in HCV patients with comorbidities, such as liver cirrhosis, and HCV patients without comorbidities. In patients with HCV, independent predictors for cataract formation included diabetes, hypertension, hyperlipidemia, and chronic obstructive pulmonary disease (COPD). The risk for cataracts was higher in women in the HCV-positive cohort and with increasing age in both cohorts. The type of HCV treatment also contributed to cataract risk. Compared with HCV-negative individuals, HCV-positive patients were more likely to develop cataracts with no treatment (adjusted HR, 1.29), interferon-alpha monotherapy (adjusted HR, 1.29), or interferon/ribavirin combination therapy (adjusted HR, 1.83). In particular, HCV-positive patients without cirrhosis treated with interferon/ribavirin had a higher risk for cataracts than HCV-negative individuals (adjusted HR, 1.70). While interferon-alpha/ribavirin combination therapy for HCV is associated with an increased risk for cataracts, Dr Lin told Infectious Disease Advisor that she does not discourage the use of this treatment, since cataracts are curable with surgery. “We recommend routine screening of HCV patients for ocular problems, especially those treated with interferon/ribavirin therapy,” she said.